At Mora English is an integral part of our curriculum. We aim for our children to become life-long learners, who love delving into books and the world. We want our children to develop a passion for writing and to be proud to share their work with others. The children participate in daily Guided Reading sessions. 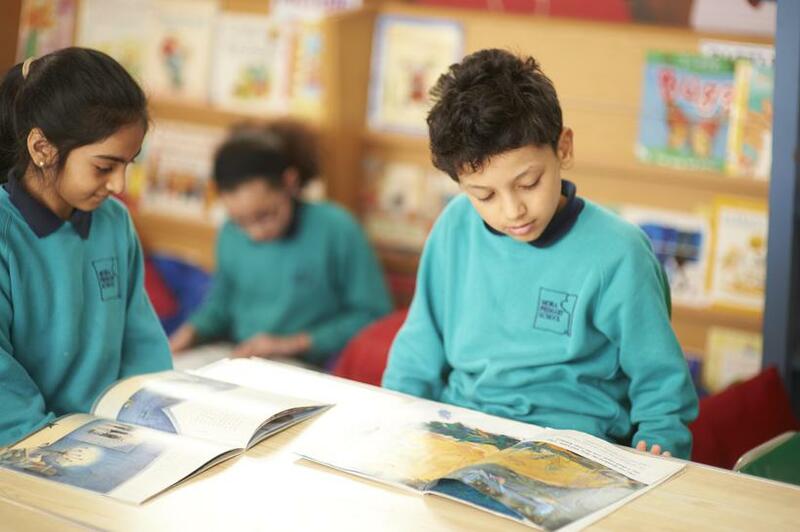 We ensure the children are exposed to a rich and varied diet of texts, including fiction, non fiction and poetry. We encourage the children to read texts that are thought provoking and allow for a rich discussion between teachers and pupils. All children are taught a range of skills in reading to ensure they become fluent readers and have a good understanding of what they have read. All children have a home reading book, which is changed weekly. We ask the children to write about the book that they have taken home in their reading diary with their opinions about the book. In the Nursery we concentrate on developing children's speaking and listening skills and lay the foundations for the phonic work which starts in Reception. The children begin to explore sounds in the environment around them and develop their listening skills. In Reception and Year 1, the children are taught phonics in whole class sessions. We follow the phonics programme 'Letters and Sounds'. The children are taught individual sounds and how to blend these sounds together to form words. From Year 2 onwards, the children are taught spelling patterns and rules. They have a weekly focus and are given lots of opportunities to practise these skills within the curriculum. We use a range of exciting and stimulating books to engage children with literature and ensure they become familiar with writing styles from a wide selection of authors. The children are asked to write in a variety of genres; whether this is their own version of Shakespeare's Macbeth or writing their own instructions for how to catch The Enormous Crocodile! We view vocabulary, grammar and punctuation as the mechanics of writing and these are interwoven throughout daily English lessons.